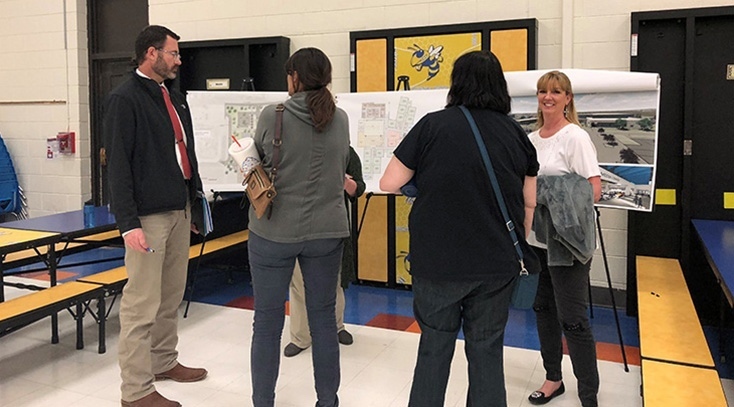 The CMS design committee is requesting submissions for large photo super graphics to be installed at Elementary School #3! Five photos will be used to identify classroom wings throughout the building. View the flyer for more information about contest requirements. Photos must be submitted at contest.dpsdesign.org by April 30, 2019. The new Carlsbad Elementary School #3 combines and replaces Joe Stanley Smith and Craft Elementary School facilities. 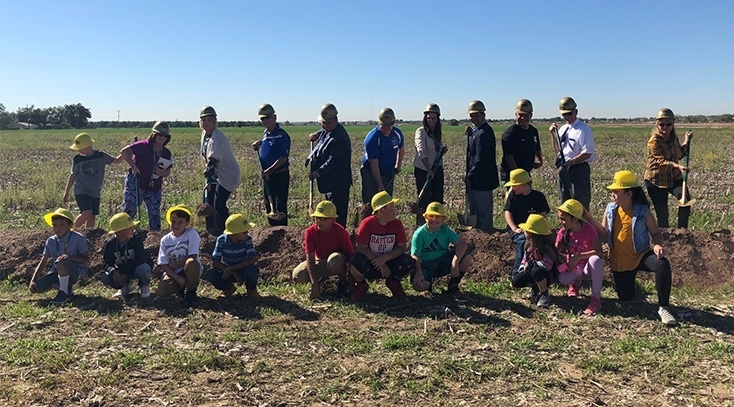 The new school is scheduled to house a total of 699 students attending grades 1-5. The site of the new elementary school campus is east of the Early Childhood Education Center (ECEC). The design team is led by Dekker/Perich/Sabatini (D/P/S) and Mitchell & Cruse Architecture, LLC (MCA). Here is a look at the three learning courtyards designed to accommodate different modes of learning used by teachers of all school grade levels. Each courtyard is organized between the classroom wings for teacher supervision and designed around a theme; reading, gardening, and music. 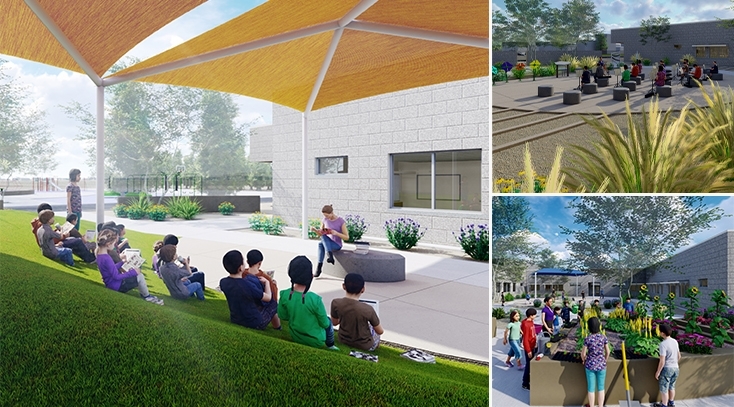 The reading courtyard will have comfortable synthetic turf grass in a mound configuration and shade canopies for students to enjoy reading, or being read to, while enjoying the outdoors. The gardening courtyard incorporates several planter beds with instruction area and shade canopy for students to learn about biology and plant life. The music courtyard includes creative and fun outdoor instruments for interaction, and a seating area for music instruction and learning. All of the courtyards are, and will be, available for individual student or group classroom use. Any grade class can use a learning courtyard for an outdoor lesson or individual student good behavior reward. Update: 9/24/2018 | Construction is Underway! 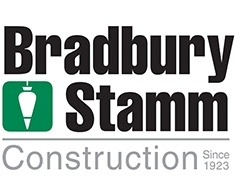 The contractor, Bradbury Stamm Construction, was selected via low bid process. 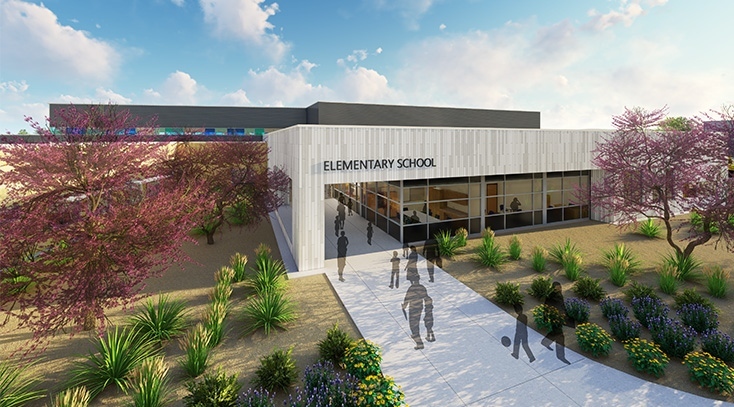 The Carlsbad Municipal Schools School Board voted to include the original base bid building for 627 students, the construction of three additional classrooms increasing the building capacity to 699 students, and the public right-of-way deceleration lane into the project. A contractor is scheduled to be selected through a bid process in September. Teacher and visitor parking will be in the front of the building to avoid traffic through a nearby neighborhood. Buses will utilize the existing bus loop at the Early Childhood Education Center (ECEC) and access a new bus drop off at Elementary School #3. The playground will be located behind the building. Each grade level will have their own wing with six classrooms. An additional centralized seventh floating classroom will also be included for all grades to use during a large student population year. We're looking forward to entering the next phase of design as we select final interior finishes! 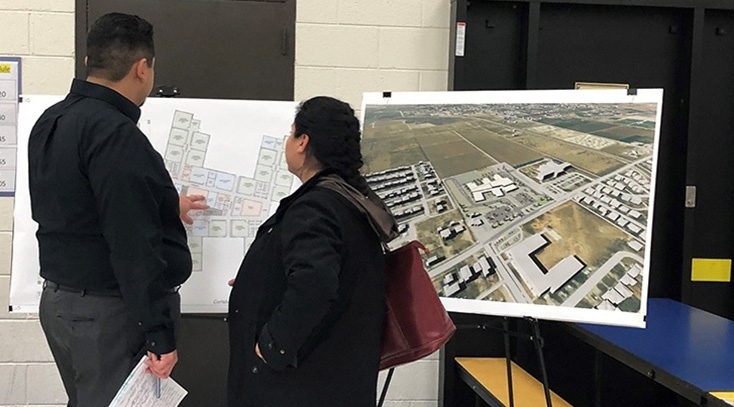 Thank you for joining us at the community open house for the new Carlsbad Elementary School. 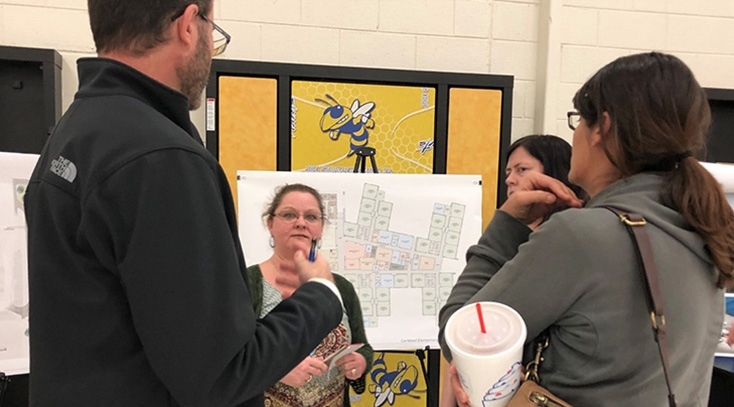 On February 27, we met with the community to discuss the design progress of CMS Elementary School #3. We received great feedback and suggestions to consider as we move forward. We appreciate your participation, and we will continue to post design updates!